Every now and then, I’ll be in a room with a group of salespeople who tell me that their life would be so much easier if….. But more often than not, – their product or service is perfectly fine – it’s THEIR ABILITY to sell what they’ve got that’s letting them down. OK – That’s a pretty massive statement for most salespeople to get their head round – I mean, where do you start? Well – to help make it a little clearer – I’ve put together an example using Rock Bands. 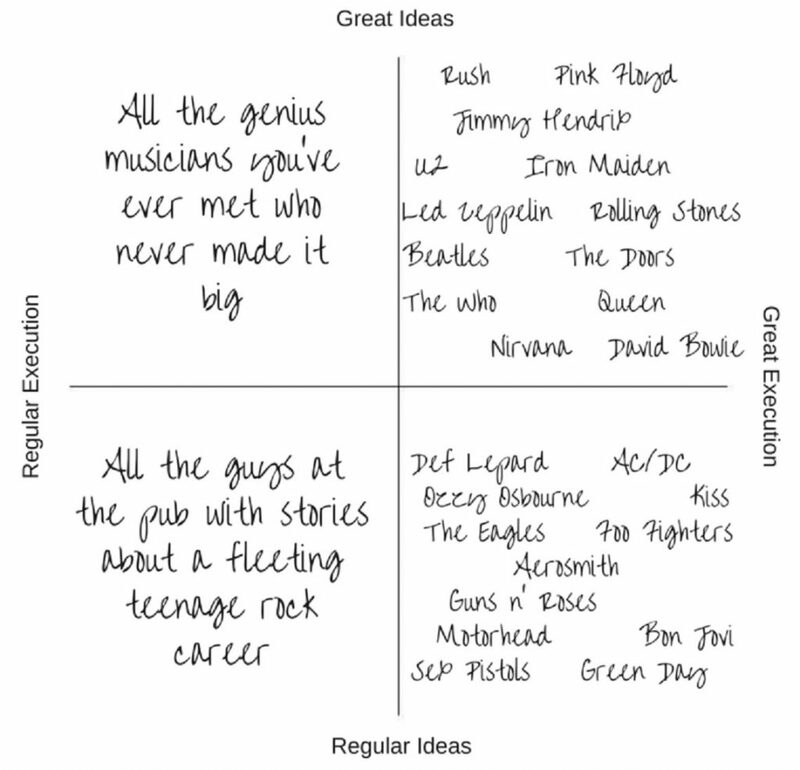 In the diagram below there are four quadrants – with axis headed “ideas” and “execution” (on a scale of regular to great) – and populated with a selection of world famous music acts and legendary rock bands. Now – unfortunately – I’m probably going to end up with more comments from disgruntled rock fans with regards to where I’ve placed their childhood heroes between “Regular” and “Great” than I am about the actual message I’m trying to get across here. It doesn’t necessarily matter what you’re selling – it’s the way you sell it that makes all the difference to your results. 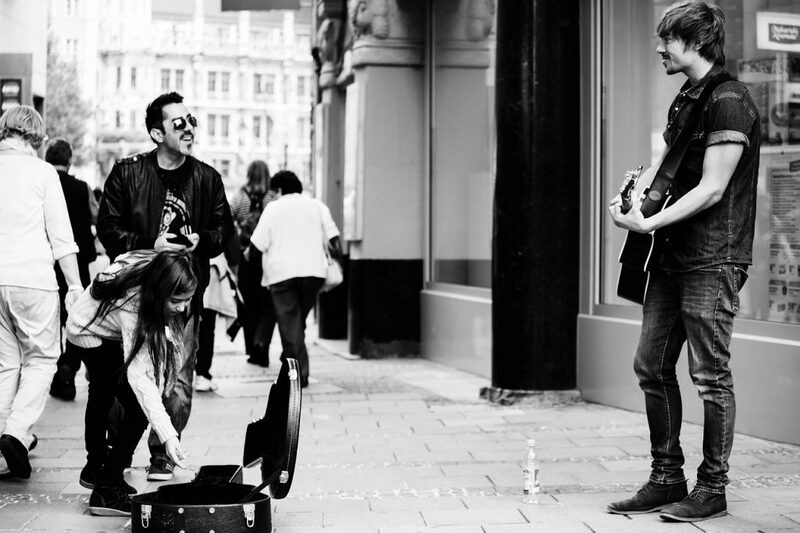 Now don’t get me wrong – selling tat that doesn’t work is never a long term career move – but neither is playing crap music. Same result – no one buys it. But the thing is, you can still be extremely successful with something that “gets the job done“. They knew how to sell what they had to sell. They looked great, they sounded great, they perfected their personas and external perception (whether true or not), they got out there and got themselves in front of the right people and they practised until their fingers bled. And let me tell you – no one with a truly successful music career could ever be correctly placed on the “Regular Execution” side of this matrix. So what does great execution look like with regards to a successful sales career? Well it’s definitely not PowerPoint animation trickery or witty banter during a corporate golf day. Value for YOU, value for your EMPLOYERS and value for you CUSTOMERS. 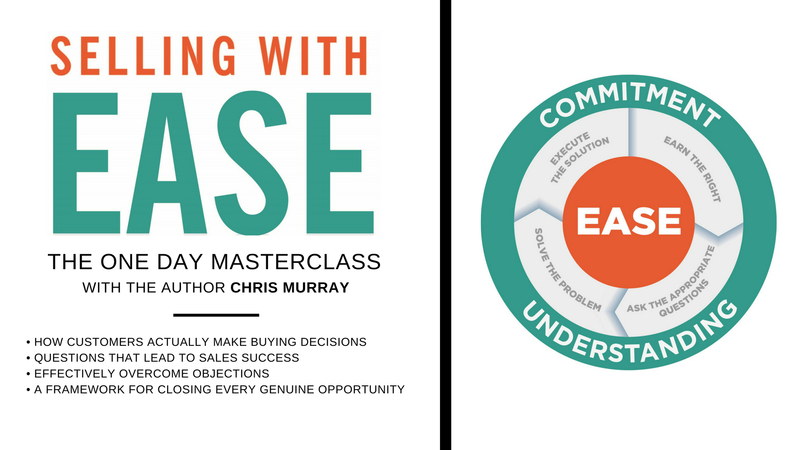 Understand why people buy what you sell and then talk about – and deliver – that. Earn the right to be there, perfect your external perception (whether true or not), get yourself in front of people you can help – and help them. You’re either helping them grow and stay in business or you’re in the way – keep bringing a bigger stick back with your tail wagging – and most will be happy enough to retain your services. Become the person you want to become and work towards the goals in your life that you truly want to achieve. I mean – surely – this precious, unrepeatable, glorious life – YOUR LIFE – deserves someone (and that means YOU) to EXECUTE it with all the GREATNESS they can muster – doesn’t it? Listen – You might not be playing your version of Webley Stadium yet – but absolutely no one ever started there – and in reality, overnight successes are all hiding years of unseen sweat and graft from public view.